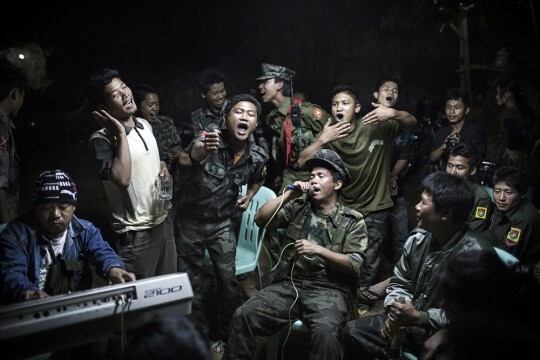 We are very proud to announce that Julius Schrank’s image »Kachin fighters« has won 1st prize in the Daily Life Singles Category in the World Press Photo Contest 2014. The image shows Kachin Independence Army fighters who are drinking and celebrating at a funeral of one of their commanders who died the day before. The image is part of an ongoing long term project on the conflicts in Burma. Julius Schrank is right now continuing this work and is currently in the Burmese Jungle. See the awarded picture and all other award-winning images here.